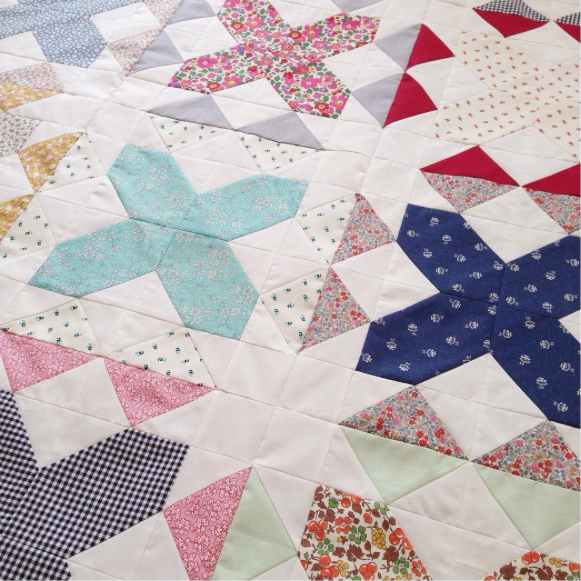 MessyJesse - a quilt blog by Jessie Fincham: Coming Soon! Are you like me and have ideas scratching around in your head or notebooks dotted about your house? I do, all the time! and they ALWAYS end up at the bottom of my to-do list never to see the light of day. Well, I couldn't hold this idea in any longer, and I'm so pleased!! Its a special quilt I've been plotting for *years* to release as a pattern, and since I often do projects for editorial titles I figured why not release this one myself?! Perhaps my English readers will think this design familiar? I drew my inspiration from Victorian floor tiles, which is a familiar scene in terrace and town houses up and down the country. I've used all my favourite fabrics, so it's 100% me, which feels amazing! And the best backing fabric ever, officially! Sometimes we just need some 'selfish sewing' don't we? The top is finished, prepped and backing fabric cut - now it's arrived with the long-arm quilter who can work some magic on it! While we wait for the finish next month I have a little helpful team of pattern testers, testing the measurements and dimensions for me ;-) then I'll be revealing the full finish at which point you can order the PDF or printed pattern at Sew and Quilt! Hooray! I'll be doing a few happy dances once this is all done! I love ticking things off my bucket list, can you tell?! Love love love. This is an incredible design; I love it so much! 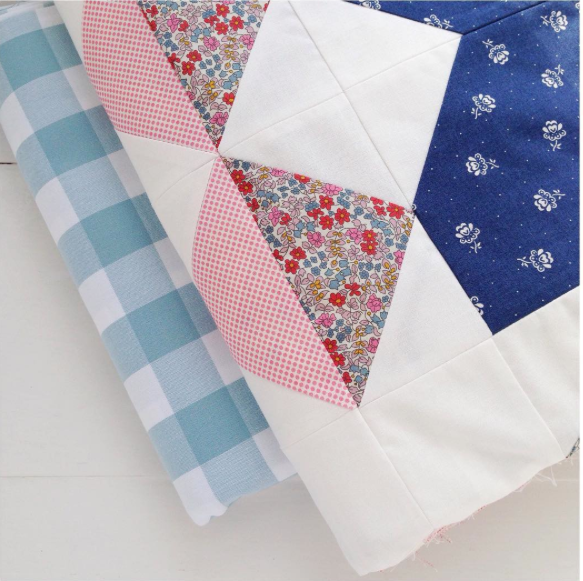 Oh gosh, I have been staring at this quilt "snippet" all day. Finally have a half second to comment (I am taking care of my 92 year old "twins" my parents. I want to make this. LOVE the fabric and from what I can see, I love this pattern. I would love to put this one together!! I am impressed Jesse, this quilt top is so personal and thus original! You are right about the backing : the best ever! Congrats! This looks wonderful -- looking forward to seeing the whole thing! Looking good. It is expensive to use the services of a long arm quilter?